E is for Explore! 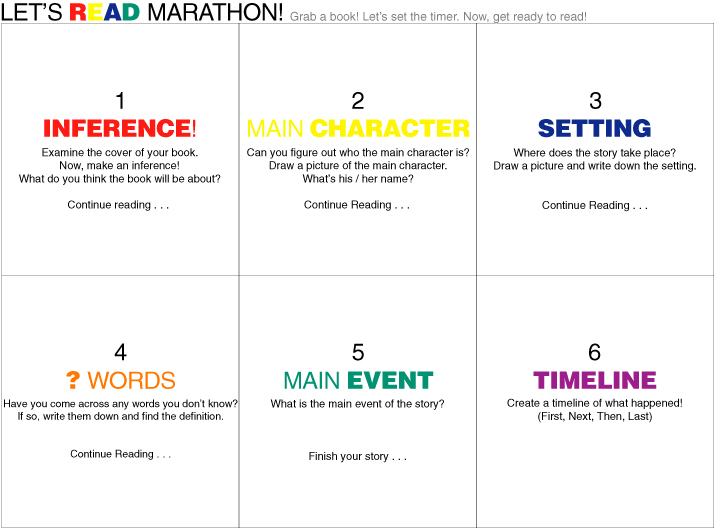 : Let's Read Marathon! Awesome idea to help kids comprehend from Fabulous in Fourth and Ms. Winston's Blog. I adjusted the activities and timeframe (older kids read for 10 minute intervals) for younger children who aren't reading chapter books yet. 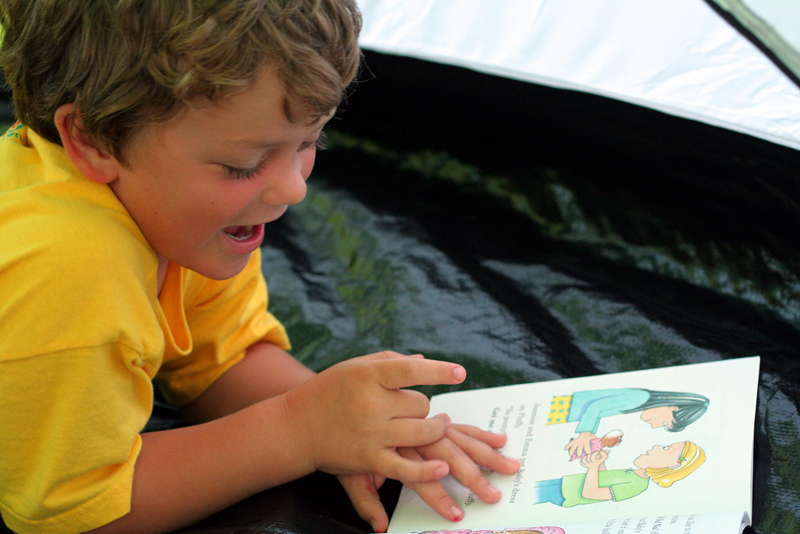 A reading marathon begins with kids choosing a book. Then, you set a timer. Students read for a bit, then stop and complete a task. The tasks they do will help them remember key details from the text. When they have finished all the tasks, they make a timeline. Incorporate some technology into the activity with Popplet! Kids can create a mind map to organize their thoughts.